Sales on Anna Maria Island for November 2018 were down again 30% over November 2017. For November 2018 AMI sales were 23 (SF-15, Con-8, Dup-0, & Lot-0) compared to November 2017 at 33 (SF-16, Con-14, Dup-3 & Lot01). With only one month to go for 2018 Y-T-D sales on Anna Maria Island are still up 1% at 379 (SF-222, Con-125, Dup-23 & Lot-9) compared to 2017 with Y-T-D sales of 377 (SF-209, Con-128, Dup-23 & Lot-17). It looks like sales for 2018 will end the year about the total for 2017 which was at 401…. a very good year. Sales for the last 12 months (December 1, 2017 to November 31, 2018) for Anna Maria City, Holmes Beach and Bradenton Beach were 405 (SF-238, Con-132, Dup-25 & Lot-10) equal with the previous 12 months (December 1, 2016 to November 31, 2017 at 405 (SF-224, Con-140, Dup-24 & Lot-17). Of the last 12 months sales only 1% or 4 (SF-2, Con-1, Dup-1 & Lot-0) were distressed properties (bank owned or short sales) compared to 1% or 5 (SF-3, Con-1, Dup-1 & Lot-0) for the previous 12 months. Inventory continues to drop and remains below 300 this month again for the seventh month in a row and for sixteen of the previous nineteen months. Inventory is currently at 257 (SF-157, Con-66, Dup-19 & Lot-15). Inventory for the previous nineteen months was at 255, 242, 242, 266, 289, 295, 308, 313, 308, 297, 254, 249, 231, 214, 223, 240, 254, 267, & 297. To summarize the Anna Maria Island market for the first eleven months of 2018, sales continue strong with sales Y-T-D up 1% over 2017 which as I mentioned again in last month’s newsletter, was an exceptionally strong sales year at 401 properties sold. In only four of the last fourteen years have we had yearly sales over 400. If you look at the chart below, yearly sales 1993 to 2018 you can see if this year continues as projected it will be the highest sales in a year since 1993. Fifteen of the last eighteen months the inventory has been below 300 which is the lowest since the crazy years of 2003-2005. Attesting to the strong market on AMI, I have again left the article that I put in May’s newsletter from a personal finance site (GOBANKINGRATES- see attached article) that used data from Zillow comparing median home prices from January 1998 and January 2018 in 25 cities around the country to identify those where prices had gone up the most. I’ve also included this month some market information for single family and condos in Manatee county. Single family sales were up 14% over 2017 and condo sales were up 27.3%. Single family media sales prices were up 16% while condo median sales prices were down 1.9%. Generally sales and values seem to be holding up in the mainland market. The properties on this month’s Frank, Scott & Al’s Great Buy’s list hasn’t changed much. I mentioned last month 3303 Gulf Drive – Pirates Cove #1 had gone under contract and it closed on 12/3/18 at a sale price of $405,000. Also since last month 6407 Gulf Drive, a duplex across from the beach, went under contract and is due to close on 1/2/2019. If you’re looking for a great location in Holmes Beach with 180-degree views of the Gulf, then you must check out this one of a kind condo 5622 Gulf Drive Vista # 4 listed at $2,600,000 arguably the best built complex on the island with only 4 units in the complex. A well maintained canal home with 210 feet of seawall at 606 Concord Ln. is a must see for boaters. At the other end of the spectrum is 5608 Gulf Drive #102 at Sun Plaza West 2/2 a gulf front complex listed at $529,000. Hidden Cove#1 – Gulf Front, Elevated 2/2.5 condo reduced $46,000. Call me for more information. Of the current AMI inventory of 157 single family homes the average sale price is $1,492,978 and the median sale price is $1,199,500. The lowest priced single-family home on the island is currently $484,900 and the highest priced is $5,750,000. For the 66 condos currently for sale on AMI the average and median sale prices are $603,707 & $489,000 respectively with the lowest $189,000 and the highest $2,600,000. The Longboat Key current inventory is 386 (SF-122, Con-246, Dup-3 & Lot-15) a little higher than last month at 360 and up from the previous six months at 314, 276, 277, 307, 320, 377 and creeping up to the high end of the previous six months at 360, 304,314,336,345 and 374. Of the current inventory of 122 single family homes the average price is $2,098,346 and the median price is $1,350,000. For the 246 condos currently for sale the average sale price is $765,362 and the median sale price $564,500 with the lowest price at $175,000 and the highest at $6,100,000. Pended properties on Longboat Key are 38 (SF-6, Con-30, Dup-0 & Lot-2) again down from most of the previous thirteen months at 30, 40, 34, 51, 63, 95, 113, 86, 45, 54, 49, 62 & 86. There are two distressed property on Longboat Key, both are bank owned condos. 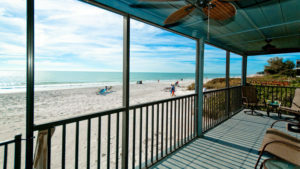 See http://www.AnnaMariaLuxuryRealEstate.com NEWSLETTER for detailed charts and facts for Anna Maria Island Real Estate for sale.